Losing weight is not always an easy task. Even with proper diet and exercise, those pounds and inches can come off slow, or even plateau. There are many factors besides diet and exercise that contribute to weight gain or loss. 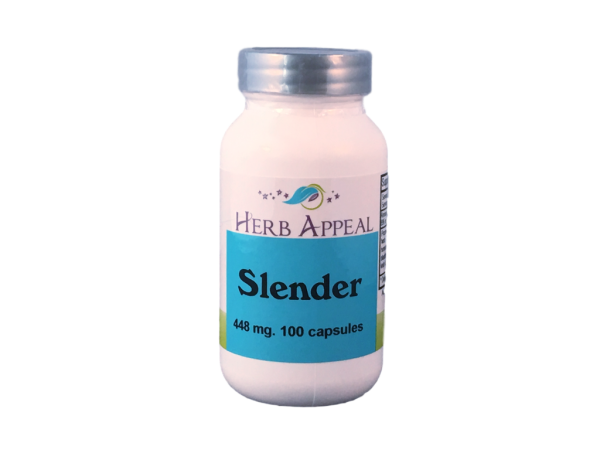 Slender is our formula to help the body lose weight by cleansing the colon, curbing the appetite, balancing hormones, and boost metabolism. Slender has Guarana seed, which is known to improve mood and cognition, reduce appetite and has caffeine to give the body a little extra energy.